This card can be purchased with the image shown. 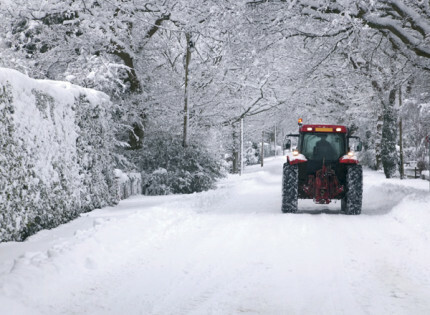 The photograph captures all this Christmassy, from the red tractor making their way through the snowy road in front of them to the snow covered branches. Your greeting and personalisation are printed directly onto the inside of this card.